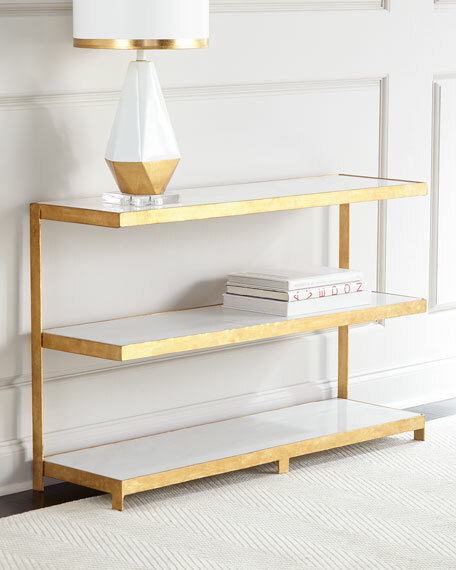 Console has iron frame with 1.5"-thick marble cantilevered shelves. 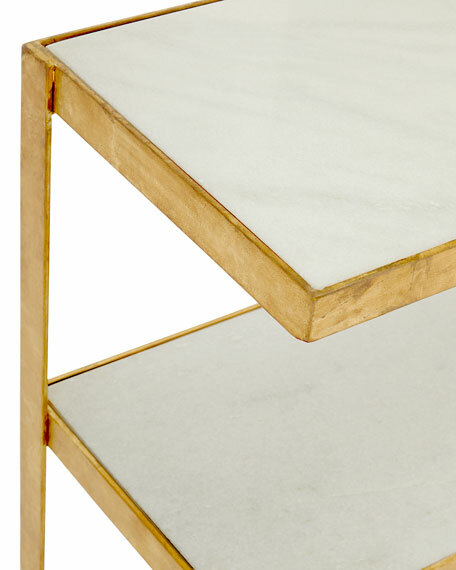 Veining color and pattern of marble may vary as it is a natural material; no two shelves or consoles are exactly alike. 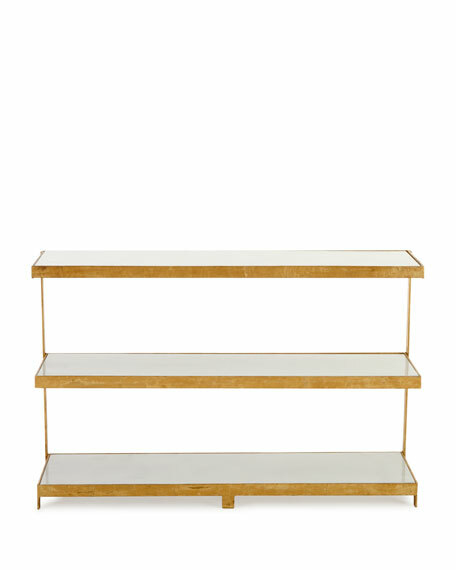 47"W x 30"D x 31"T; space between shelves, 11.5"T.